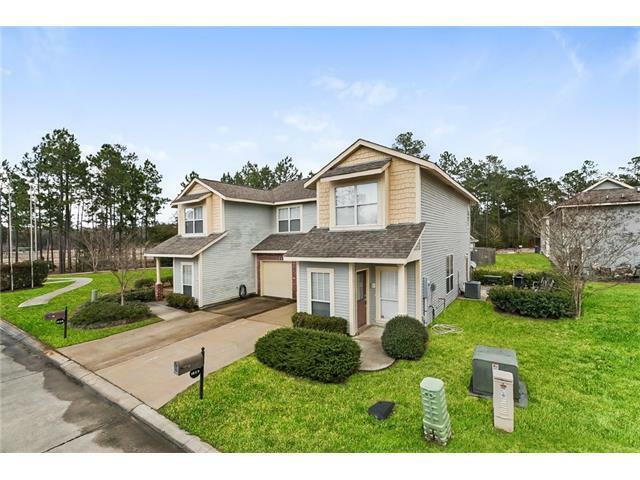 Beautiful Townhome located in desirable area of Abita Springs! Located in the well kept and established subdivision of The Villas at Abita Springs, this beauty features new wood floors in the living area, open kitchen living area, large master suite with walk-in closet, plus so much more! Sitting next to and across from vacant lots, this home has tons of room to stretch your legs! PLUS don't forget to check out the community pool! Located just minutes to shopping, restaurants and local park. A must see!! Listing provided courtesy of Michael A Baradell of Keller Williams Realty Services.